Microsoft Selfie app for Android is now available. Previously, Microsoft released its Selfie app for iPhone users. Microsoft Selfie app uses computer vision to improve your photos. Users can also apply filters to selfies. Currently, there are 12 filters available right now. 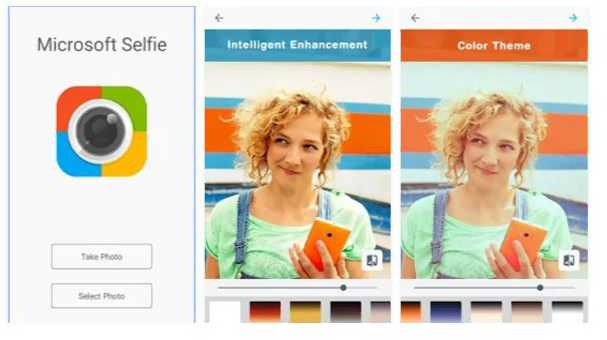 Microsoft Selfie is a selfie and photo-enhancement application available on Android, iOS and web. Backed by computer vision technology, Microsoft Selfie intelligently considers age, gender, skin tone, lighting and many other variables, all with one click. Users can transform average photos into enhanced, natural photos in seconds. You can download Microsoft Selfie app for android from Play store or from the link below.